Dr Tan’s unwavering passion for the natural environment affirms his calling as a champion to conserve Singapore’s natural heritage. His deep commitment to conservation stems from a deep-seated appreciation and awe of nature’s beauty. Recognising the need to beautify and conserve the natural landscapes in an increasingly urbanised Singapore, he has built his entire career around the stewardship of nature, weaving together his passion with his work. 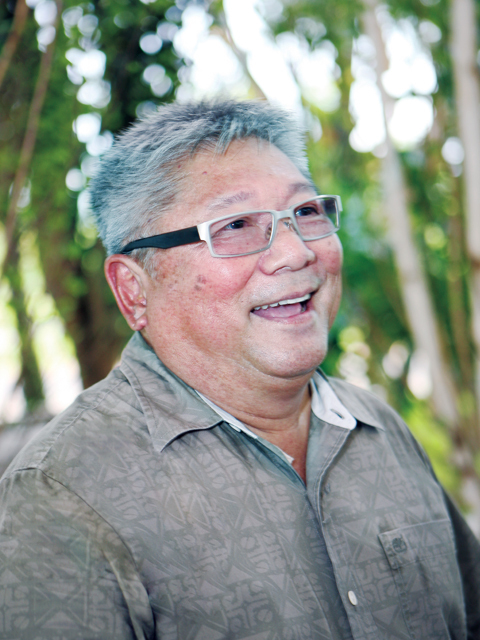 A visionary in promoting the conservation agenda, Dr Tan played a pivotal role in uniting the local conservation NGOs in the 1990s and developing the green spaces in Singapore. He was one of the founding members of the Singapore Environment Council and has always appreciated the need to develop stronger ground-up ownership for the conservation of our green spaces. Leveraging on his expertise and reputation in the field of botany, Dr Tan has also worked tirelessly to enhance Singapore’s profile on green issues internationally. Appointed as a Vice-President of the Royal Horticultural Society (UK) in 2009, his influence and networks were instrumental in helping Singapore gain international attention by winning the bid to host the 20th World Orchid Conference (WOC) in 2011, where he currently holds the post of Chairman of the organising committee. Instrumental in sustaining Singapore’s natural heritage, Dr Tan led the National Parks Board to meet the recreational and lifestyle needs of Singaporeans by enhancing accessibility to nature areas such as the Central Catchment Nature Reserve, Pulau Ubin and Sungei Buloh Wetland Reserve and introducing amenities like the MacRitchie Trails and TreeTop Walk. Dr Tan currently steers the development of the “Gardens by the Bay” project as Chief Executive Officer. In recognition of his vision, commitment and outstanding contributions to enhancing Singapore’s natural landscape, Dr Tan was presented the Public Administration Medal (Gold) in 2003 and the Medal for Meritorious Service in 2007. A visionary who has devoted his life and career to the pursuit of environmental excellence in Singapore and abroad, Dr Tan Wee Kiat is an excellent role model for all who aspire to make a difference. 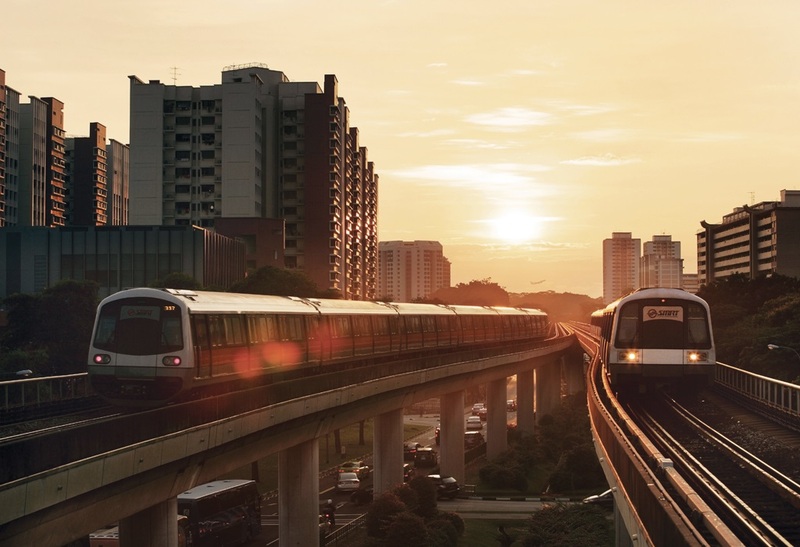 With an admirable track record in environmental sustainability, SMRT Corporation Ltd (SMRT) has been recognised by international and local awards for its continued and sustained efforts to reduce its operational ecological footprint. The company has been lauded for being the “Most Energy Efficient Metro” in The Metro Awards 2009 and 2010. In 2009, it also received the Top Achiever, Singapore Environmental Achievement Award from the Singapore Environment Council. At the heart of SMRT’s corporate philosophy is the Green Steering Committee headed by its CEO. It is the key driver of good environmental practices and programmes within and beyond the organisation. SMRT’s commendable efforts in managing the environmental impact of its daily operations are evident in their widespread implementation of energy and water-saving initiatives. Recycled water is used regularly to wash SMRT’s fleet of buses and trains, thus allowing the organisation to save 119,000 litres of water a day. Water thimbles have also been installed in all 67 SMRT facilities. These initiatives have enabled SMRT to attain PUB’s Water Efficiency Building certification. At the individual level, SMRT staff also gain greater knowledge on the importance of conserving the environment through innovative staff campaigns such as the “SMRT Eco Hero Competition”, an annual competition organised since 2008 for staff and their families which encourages them to reduce their electricity, water and paper usage as well as increase paper recycling. An active supporter of community-based environmental initiatives, SMRT has developed dynamic partnerships which encourage the public to adopt environmentally-responsible lifestyles. For instance, a $50,000 South West – SMRT ECo (Environment and Community) Fund was set up together with South West Community Development Council (CDC) in January 2011 to support green initiatives by youths and residents in the district. 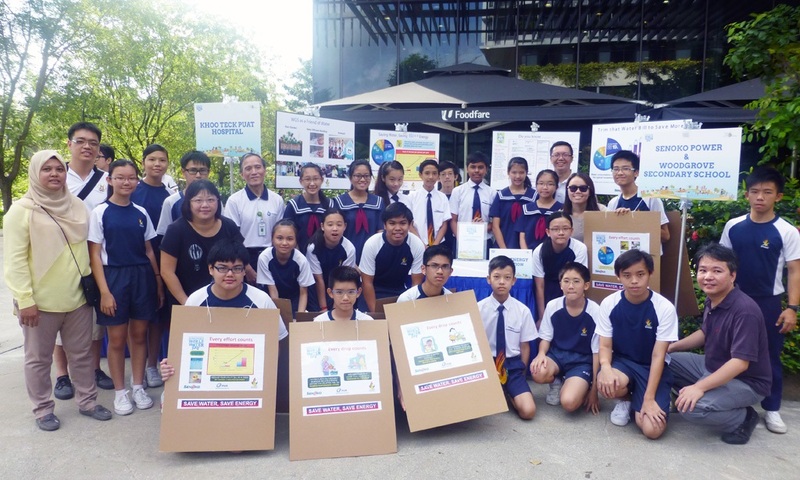 SMRT and North West CDC have also co-organised a Green Skit for 16 primary and secondary schools to educate students on the importance of conserving our energy and water resources. The company’s annual “Go Green with SMRT” campaign reaches out to a wide network of public commuters to practice an environmentally friendly lifestyle by including public transport in their travel mix. SMRT’s effective environmental outreach and commendable track record make it an outstanding role model which other corporate institutions can emulate. A strong promoter of environmental conservation since 2000, Woodgrove Secondary School moulds our next generation of environmental leaders through education, service learning programmes and school-wide events. Widely recognised for its environmental efforts, the NEA’s Ecofriend Award and PUB’s Watermark Award recipient has also received the Community in Bloom (Silver) Award from the National Parks Board and the Sustained Achievement Award from the Singapore Environment Council. Curriculum-based and hands-on learning form the two pillars of Woodgrove’s environmental education pedagogy, with topics on environmental conservation incorporated into subjects such as Geography and Science. Students also regularly conduct case studies and project work in the school’s nursery and greenhouse. To inculcate environmental awareness and action amongst the student population, the Green Activists Club was set up in 2002 for students to organise and participate in environmental outreach projects. The school’s Green Movement Committee, which comprises management, administrative, support and teaching staff, oversees and organises school-wide environmental programmes such as commemorative activities to celebrate World Water Day, and the recently launched Youth for the Environment Day. Students also play a lead role in organising Green camps for school children from other schools in the North West district. Beyond educating its students on good environmental practices and greening its school compound, Woodgrove’s extensive partnerships and networks have enabled it to effectively reach out to other members of the community in the areas of water and nature conservation. Since 2004, the school has adopted a part of Mandai Nature Reserve for weeding and planting purposes. In 2010, Woodgrove adopted the Sungei Sembawang River under PUB’s Active, Beautiful and Clean Waters programme. Woodgrove also co-organised several educational workshops for primary and secondary school students, together with NGOs such as the Waterways Watch Society, and community organisations like the North West Community Development Council. Woodgrove Secondary School’s passion and initiatives in going beyond the classroom to effect change in its students and the larger community are indeed qualities that other educational institutes can learn from.